Every year there’s a plethora of new gadgets for you to spend your well deserved Christmas cash on. The list of devices out there is basically endless, so we’re here to try and clear up the best of the year, so you know what to blow the money on, regardless of how much you’ve got to spend. Always one of my favorite gifts, Chromecast’s newest device is a great way to set up your own low budget multi-room sound system. Chromecast Audio is a small attachment that connects to any speakers with a 3.5mm audio jack. Once connected, they can receive audio from Spotify, Play Music and other services — effectively turning dumb speakers into smart ones. For just $35, it’s one of the best low-cost gadgets you could spend your money on. One of the coolest gifts for kids and grownups this year, Google Cardboard has more bang for its buck than anything else on this list. There are more and more Cardboard-enabled apps every day, especially now that news organizations like The New York Times are creating exclusive VR content for it. Best of all it costs basically nothing, and a Cardboard that fits your phone is easy to find. Google sells a variety of designs, from actual cardboard-based VR headsets to an official Viewmaster edition made by Mattel. Starting as low as $20, it’s one of those things you really should have already. It’s nearly here. In just ten days you’ll be able to get your hands on the official Steam Controller. It’s a controller like no other, without thumbsticks and built for PC gaming from your chair or couch. For less than $50, it’s a great alternative to the Xbox controller, and can be used wired or wirelessly — they’ll start shipping in the first week of January if you order now. The Kindle isn’t really new, it’s been around for years, but it’s one of those gadgets I’m constantly surprised people still don’t have. It’s the best way to read books outside of actually owning books and Kindle’s 2015 devices are better than ever. If you have a book-reading friend in your life, or aspire just to read more in 2016, the Kindle is the best device you can buy. After buying one, I’ve noticed I’m reading more than ever before, and that battery means they can go on forever. If you’re one of the people still using DSLR or point and shoot camera, EyeFi is a must have. It takes the hassle out of syncing up those SD cards and downloading your photos wirelessly to your computer. An EyeFi card is nothing more than a normal SD card — except it has a WiFi chip and some smarts that lets it automatically synchronize your photos when in range of your home or phone. I love EyeFi, because I can snap photos on my Fujifilm X-T1 and have them synchronized with my iPhone immediately, for quick sharing or editing, rather than it being something I eventually get around to. EyeFi also released a cloud offering this year which backs up unlimited photos — every card is bundled with a subscription and it’s great to not need to worry about how much space is available. The new Apple TV was released in September and it’s the company’s first real stab at building an epic TV box. It’s relatively cheap, and can run every app you’d imagine — Netflix, Plex and more. It’s the first time Apple has let developers build third party apps for the TV, and then there’s Siri. You can say things like ‘what did he say’ and it magically skips back one line of dialogue all in the blink of an eye. If you’re looking for something with a great interface that can stream movies from iTunes, Netflix, Hulu and your own collection, this is the best choice. I don’t know why, but I have an obsession with quantifying my sleep. I often go to bed late, or get up at weird times, but since I purchased Sense it’s made me more aware of my strange sleeping habits and helped me learn how sleep affects my mood. Sense is a small orb that sits next to your bed, with a pillow tracker that goes on once and doesn’t need to be touched again. It automatically tracks your sleep every night and acts as a smart alarm clock, only waking you when you’re sleeping lightly. It also uses data from your room, like light, temperature and air quality to tell you what factors might have caused you to have a bad sleep. Sense is the simplest sleep tracker I’ve used, and the design is unmatched — and it’s just $129. Looking to get the kids into coding, or interested in tinkering with computers? Look no further than Kano, the computer that lets kids (or grown ups) assemble their own computer, then learn how to code on it. It’s touted to be as, “simple as lego” and is suitable for ages six and up. Kids can code games, create a talking computer or build small utilities without any prior knowledge. A new module announced this week also adds a small screen making it even easier to jump into the world of code. Kano is a great gift if you want to keep the kids occupied on something that isn’t just playing video games, but creating them as well. For $99, you’ll get the basic kit which lets kids build the computer themselves and code, but if you want the new screen module it’ll be an additional $129.99. Home surveillance is kind of… uncool in 2015, but both Canary and Nest delivered smart gadgets that made it interesting again. Thanks to these two devices you can now you keep tabs on your house while you’re away, rather than just having an alarm go off if someone comes in. You can set up motion detection alerts on your phone and instantly watch live when something moves at home as well as retrieve the footage later. I’ve not caught any thieves yet, but I’m constantly catching our cat climbing on the table when we leave the house. Both devices are good for peace of mind, especially when traveling overseas… though it’s kinda eerie peering into your own lounge, especially if someone’s sat there watching the TV unawares of your snooping. This year GoPro entered the lower-end market with a new Hero+ camera for just $199. It features everything you’d expect from the more expensive models, but can’t be removed from its case and the battery can’t be swapped. If you’ve always wanted to show everyone how epic your life is without having to shell out for the normal GoPro range, this is a great place to start. Ever wanted a home companion that you can yell at to change the song or order you rolls of toilet paper? It’s a steep $179, but everyone I know who grabbed one of these loves it — particularly for setting timers and just playing a little bit of music. We’ve written plenty in the past about how great Sonos’ speakers are, but the new Play:5 is a whole new level for the company. It’s got crisper sound quality, deeper bass and looks great. Oh, and it’s VERY loud. The way Sonos brings together all of your favorite music services in a single app, like Spotify, Apple Music, Hype Machine and Soundcloud, is handy and the music keeps playing without needing to have a device plugged in. Just a warning: once you get one speaker, you’ll want one in every room of your house. Probably the most hyped iPhone accessory I’ve ever seen, the DxO One promises to give you high-resolution photos like you’ve got a DSLR, but in a tiny package. The camera shoots 20.1 megapixel photos and 1080p video, using your iPhone as the viewfinder and plugging in via the Lightning connector. If you’ve always wanted to take pro-level photos but couldn’t be bothered getting a DSLR, this is a great choice — the only drawback is it’ll cost you $600, so you have to really want it. The best Nexus phone Google’s ever made, the 6P is a great upgrade if you’re looking for a new Android phone. I really loved the phone when I reviewed it earlier this year and was impressed with the build quality, the incredible camera and snappy fingerprint sensor. It’s the first time Google’s managed to pull off an iPhone-level Android phone without compromises, which is an impressive feat. For the time being, it’s one of the best Android devices out there, and it’s available unlocked without a contract directly from Google. Microsoft surprised the world at an event this year when it unveiled its first Surface Laptop… that’s also a tablet earlier. The device has impressed critics from almost every publication, including us. Yes, the Surface Book is an incredibly high-end machine, but it can do anything with those specifications, and it’s like having a Surface Pro that can become a full laptop anytime you please. The hinge is the key, which is electronically controlled to let you release the tablet part, and Microsoft tucked extra battery power as well as a dedicated graphics card into the keyboard. Surface Book will set you back at least $1,499.00, but it’s an incredible laptop… tablet. 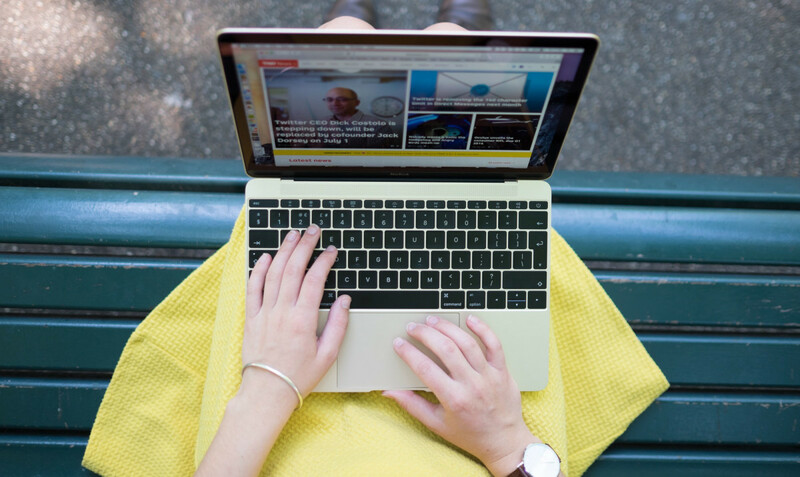 I’ve never used a better notebook — the new MacBook is thin, light and incredibly attractive. With the Retina display packed into that smaller-than-Macbook-Air frame, it’s an amazing computer for just taking everywhere. When I reviewed the MacBook earlier this year, I was amazed how great it is for such a tiny machine. It’s a little underpowered for heavier tasks — perhaps don’t try to game on this — but it’s a great day to day workhorse. Let’s face it, you’re probably not going to buy this as a gift for someone, but rather for yourself. The MacBook is a great machine for those that are looking for something more portable than a normal laptop, but don’t want to make the jump to a hybrid device. Any gadgets you think should be classed as the best of 2015? Let us know in the comments!